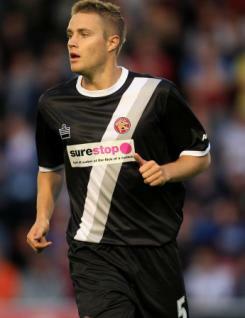 Oliver Lancashire is a central defender with Walsall. He began his career at Crystal Palace before moving to Southampton as a teenager.&nbsp; He captained the Saints? U18 side and his performances soon earned him England U19 recognition. Oliver made his senior debut for Southampton in September 2008 and also enjoyed a loan spell at Grimsby Town before linking up with the Saddlers in July 2010.&nbsp; Oliver is a no-nonsense defender who enjoyed a very productive 2010-11 season at the Banks's Stadium, featuring in over half the club?s League One fixtures.